The aim of the study was to understand the role of homologous recombination repair (HRR) pathway genes in development of chemotolerance in breast cancer (BC). For this purpose, chemotolerant BC cells were developed in MCF-7 and MDA MB 231 cell lines after treatment with two anthracycline anti-tumor antibiotics doxorubicin and nogalamycin at different concentrations for 48 h with differential cell viability. The drugs were more effective in MCF-7 (IC50: 0.214–0.242 µM) than in MDA MB 231 (IC50: 0.346–0.37 µM) as shown by cell viability assay. The drugs could reduce the protein expression of PCNA in the cell lines. Increased mRNA/protein expression of the HRR (BRCA1, BRCA2, FANCC, FANCD2, and BRIT1) genes was seen in the cell lines in the presence of the drugs at different concentrations (lower IC50, IC50, and higher IC50) irrespective of the cell viability (68–41%). Quantitative methylation assay showed an increased percentage of hypomethylation of the promoters of these genes after drug treatment in the cell lines. Similarly, chemotolerant neoadjuvant chemotherapy (NACT) treated primary BC samples showed significantly higher frequency of hypomethylation of the genes than the pretherapeutic BC samples. 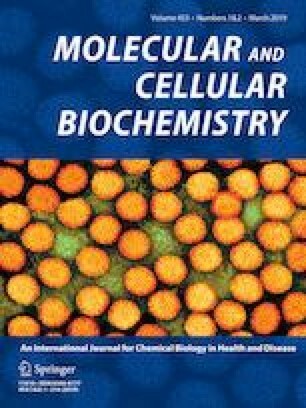 The drugs in different concentrations could reduce m-RNA and protein expression of DNMT1 (DNA methyltransferase 1) in the cell lines. Similar phenomenon was also evident in the NACT samples than in the pretherapeutic BC samples. Thus, our data indicate that reduced DNMT1 expression along with promoter hypomethylation and increased expression of the HRR genes might have importance in chemotolerance in BC. The online version of this article ( https://doi.org/10.1007/s11010-018-3442-5) contains supplementary material, which is available to authorized users. We thank the director of Chittaranjan National Cancer Institute, Kolkata, India. We are also thankful to the Upjohn Company, USA for gifting nogalamycin. Financial support for this work was provided by UGC-NET Fellowship Grant F.2-3/2000 (SA-I) (Sr. No. 2061030813, Ref. No. : 20-06/2010(i)EU-IV dated 22.10.2010) to H. Dasgupta. Informed consent from the patients and approval from the Research Ethics Committee of the institute were obtained for sample collection.